Why not a whacked-out warrior? The Merc with a Mouth is a limited edition resin statue. Deadpool brings his katana swords and points a deadly finger-gun. 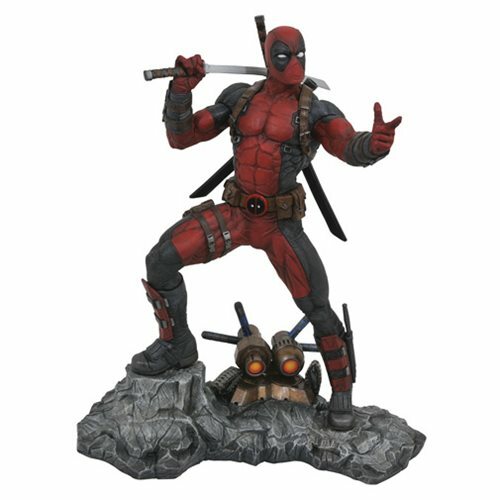 The Merc with a Mouth joins the Marvel Premier Collection as this approximately 12-inch scale resin statue depicting the whacked-out warrior toting a pair of katana swords and pointing a deadly finger-gun. Limited to 3,000 pieces, this high-end Marvel Premier Collection Deadpool Statue comes packaged with a certificate of authenticity in a full-color window box. It's hand sculpted by Jean St. Jean! Ages 13 and up. 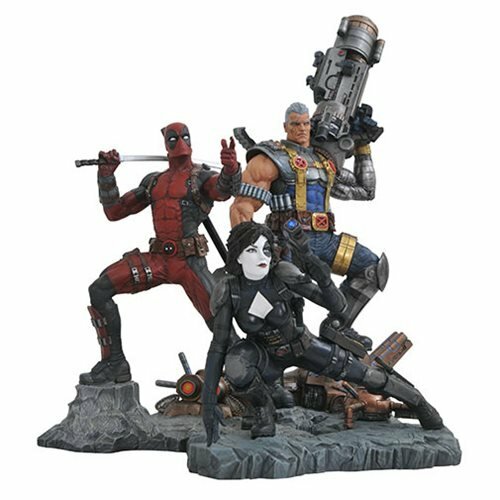 Pair him with the Marvel Premier statues of Cable and Domino (each sold separately) to create a larger scene!